Q: “What’s the heaviest noodle in the world? 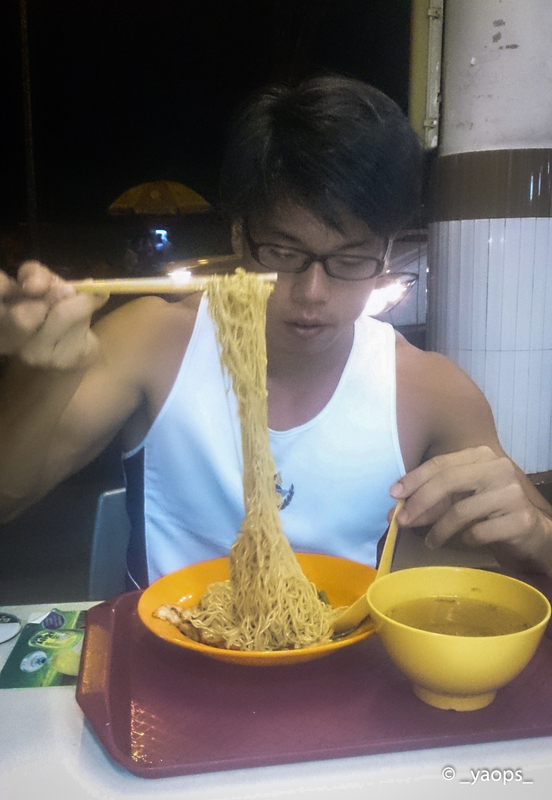 Wanton noodle also known as Yun Tun Mian and Wonton Noodle, is a well known dish in Guangzhou, Hong Kong, Malaysia, Singapore and Thailand. 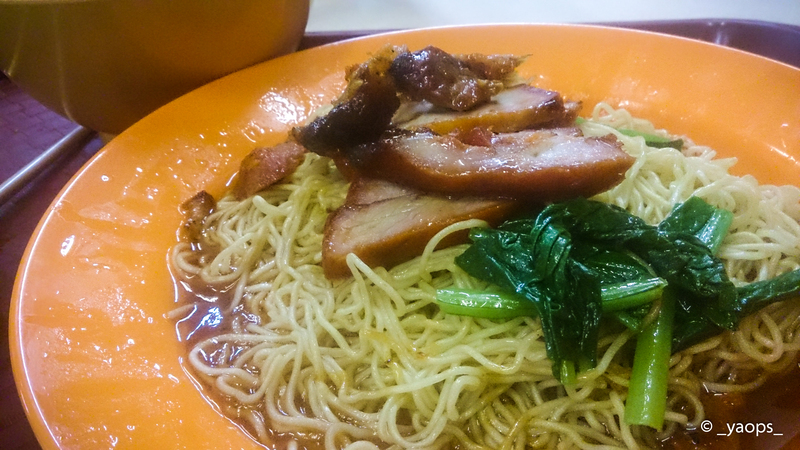 The dish is usually served in a hot broth, garnished with leafy vegetables, charsiew (bbq pork) and wonton dumplings. The types of leafy vegetables used are usually kailan also known as Chinese kale. 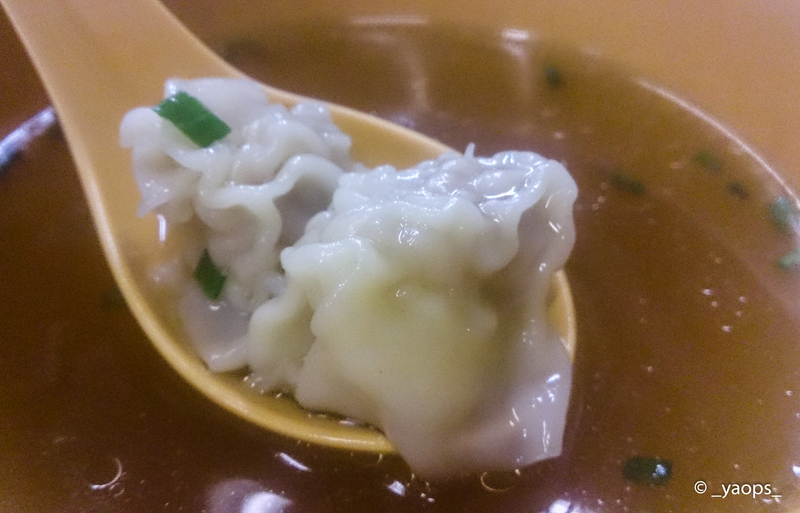 Another type of dumpling known as shui jiao is sometimes served in place of wonton. It contains prawns, chicken or pork, spring onions with some chefs adding mushroom and black fungus. As simple and humble it may seem, mastering this dish is no feat. 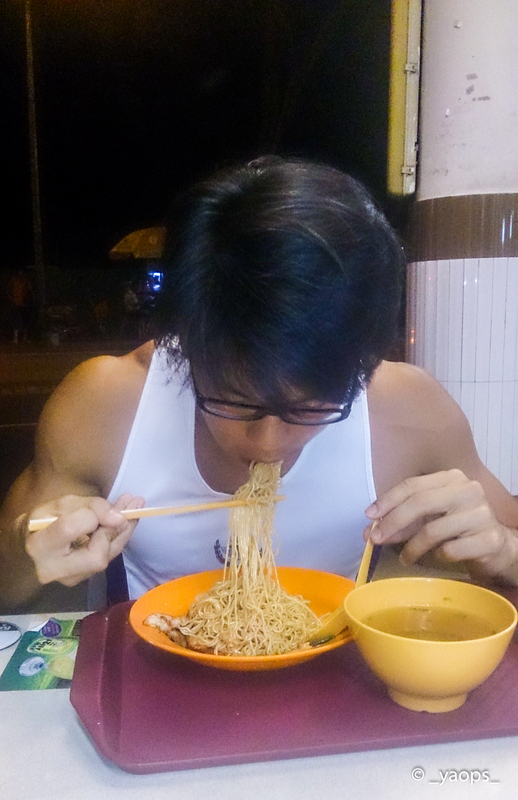 In my opinion, a good plate of wanton noodle will have the following — Noodles has to be springy, nicely caramelised and juicy bbq pork, good blend of condiments such as chilli or ketchup. Lastly, decent portion of meat in a wonton. Perhaps, some crispy fried pork lard will give an addition boost! 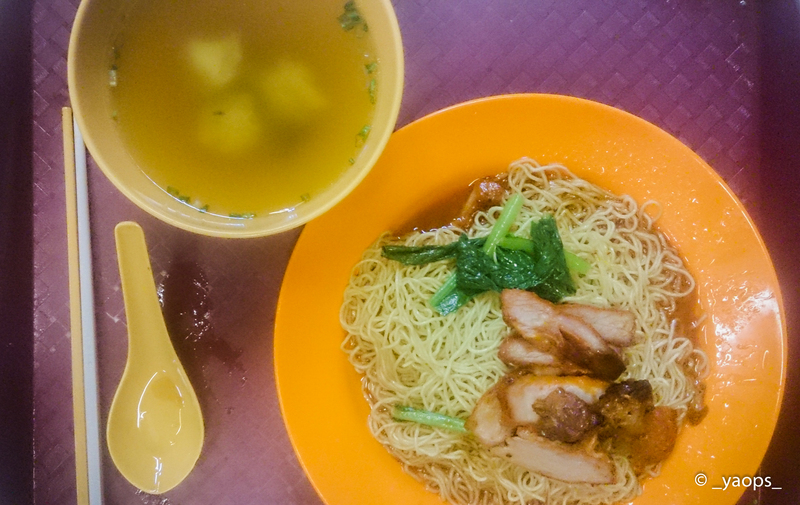 In my opinion, despite not having the tastiest charsiew (but still better than average), but Koung’s Wanton still do fulfill most of the items on the checklist. According to my dad, Koung’s has been around years before I was born. My first taste of Koung’s started way back when I was 12 years old. Back then, it was located at Geylang Lorong 13 and currently at Lorong 21. Another commendable trait about them is their generous portion of serving. Unlike other stores out there, their additional portion of noodles literally means an additional “ball” or bunch of noodles. Not half or plucking from another bunch. However, inflation didn’t bypass them. A plate which was $3 ten years ago is $4 currently. 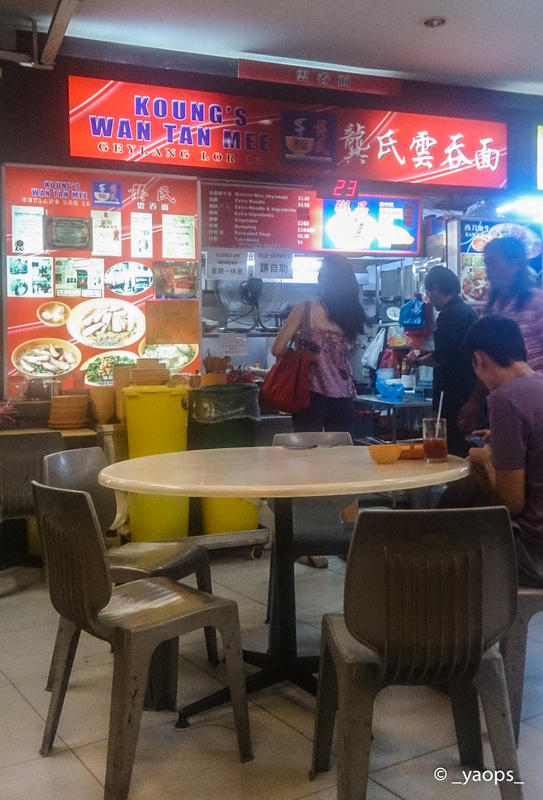 Thankfully, cost for additional noodle has been kept consistently at $0.50.